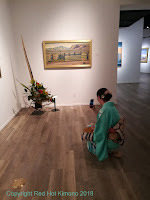 Shakunetsu no Kimono: Catching Up With Kimono-Wearing Events! 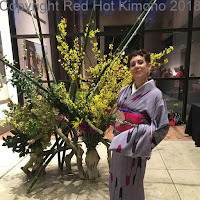 Catching Up With Kimono-Wearing Events! 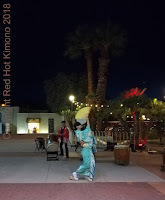 I started a new job at the end of February, right after Matsuri, so I'm behind on my postings. 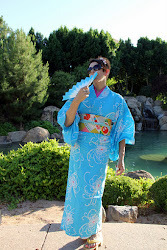 I'm starting to catch up now that it's almost too warm to wear kimono, but here are some photos. 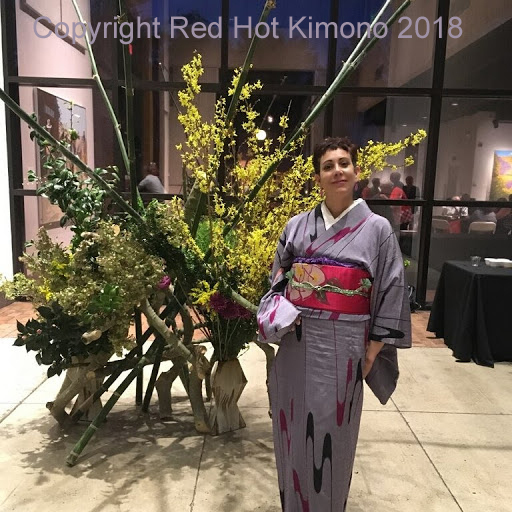 At the end of last year, a kimono-wearing friend and I were hired as part of the entertainment at the Angel Charity's annual giant fundraiser, the Angel Charity Ball. 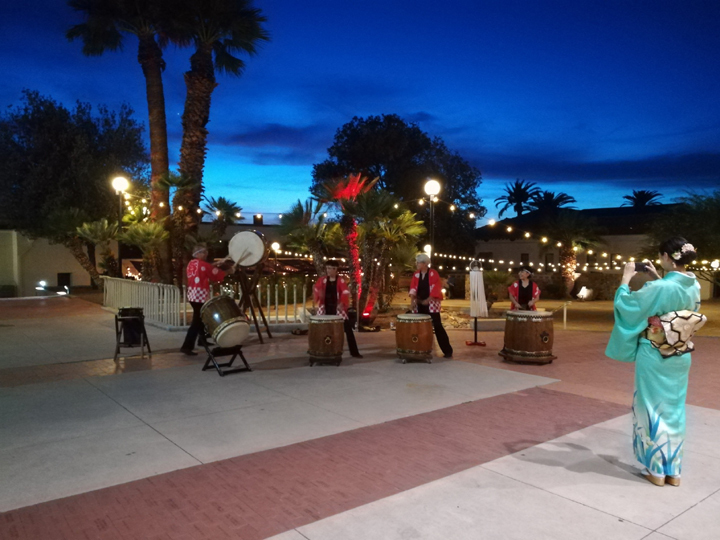 The theme was Asian and the event is over the top with decor, entertainment, food, etc. My taiko group was playing there as well. It's the premier event for the movers and shakers that want to be see being seen! We were greeters in kimono, standing at the entrance at the end of a red carpet and we posed for what seemed like a zillion photos with people in tuxes and ballgowns. Here I am in my bingata kimono in the green room next to a pair of wonderful Chinese dragons. 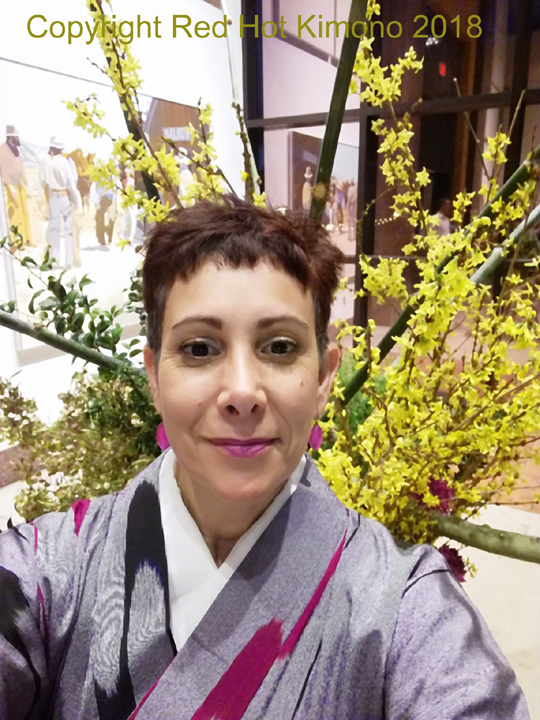 I'm even wearing an "obidome", a small sliver piece of jewelry centered on my obi. 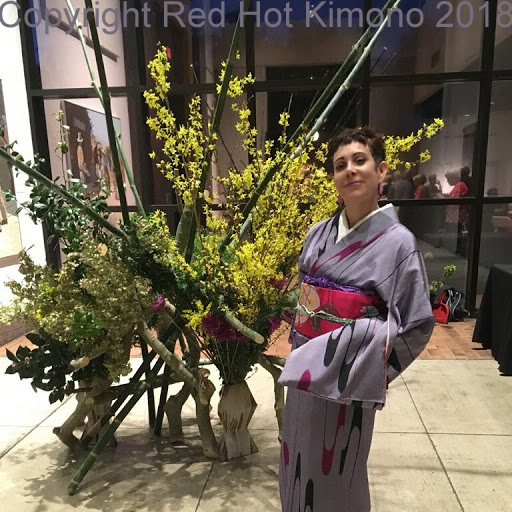 And in April, my taiko group played at a special ticketed fundraising event at the art museum called "Garden in the Galleries" with ikebana displays throughout the museum galleries for a weekend. 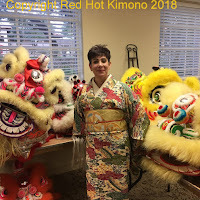 My kimono-wearing cohort (and a member of Suzuyuki Kai Japanese Dance Group) and I again were part of the entertainment at the Japanese-themed party. 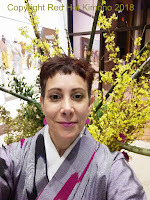 I wore my new retro-modern cool lavender-grey hitoe kimono with a hot pink obi featuring a rose. 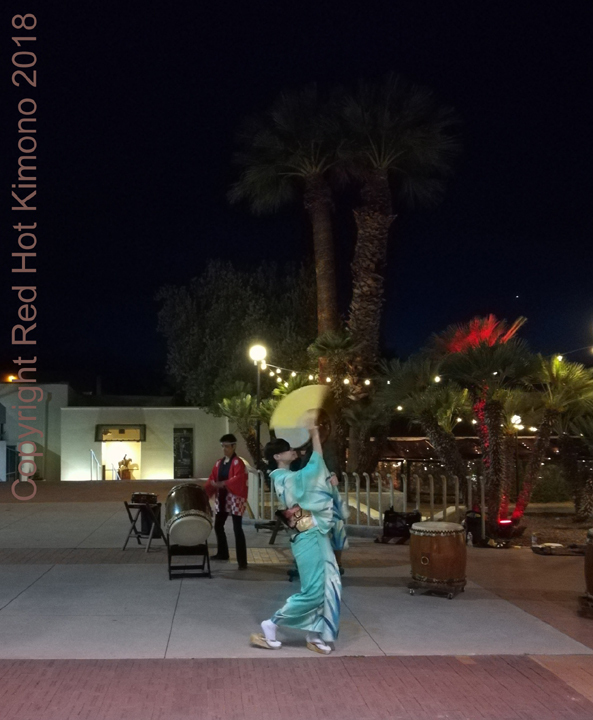 My cohort wore a lovely green kimono and even did an impromptu dance outside accompanied by taiko.